Nursing focuses on the healthcare of individuals, families and communities to help them attain or recover health and quality of lifethrough their entire life span. The aim of the nursing community worldwide is to ensure quality care for all, while maintaining their code of ethical standards and continuing their education. 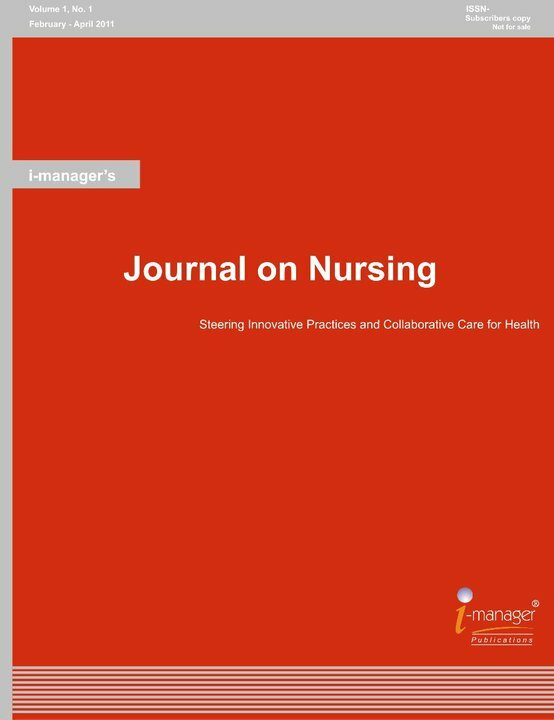 i-manager’s Journal on Nursing is a step towards serving the healthcare community by presenting high quality research and practice papers on innovative techniques and successful practices in nursing with potential to advance knowledge for practice, Education, management or policy. We follow stringent publication ethics, and plagiarized papers are not published, and are withdrawn at any stage of the publishing process. Plagiarism is not limited to the Results and Discussion sections; it can involve any part of the manuscript, including figures and tables, in which material is copied from another publication without attestation, reference, or permission. Academicians, practitioners of Nursing, University Educational Bodies, Researchers, Consultants and leading Corporate etc. Subscription Combo Offers - 2018 is available to all existing & new subscribers. Get huge savings through this subscription combo offer. Enter your email address below to receive email announcements . By providing your email address, you agree to send your email address to the publication. Copyright © 2018 i-manager Publications, All rights reserved.